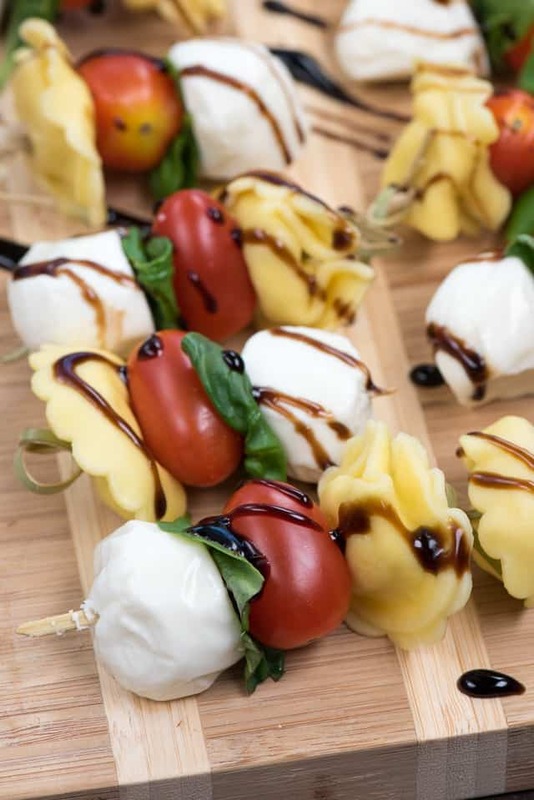 These easy Tortellini Caprese Skewers have a balsamic glaze and are a perfect appetizer! Skewers like this are super simple to prepare and serve at a party. 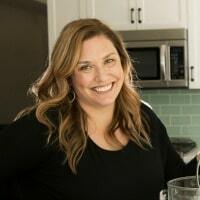 This time of year I love having some easy entertaining ideas. 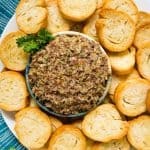 With school back in session and football on TV and the holidays coming up, you never know when you need a last minute appetizer for a party or even just something to use as an easy dinner. 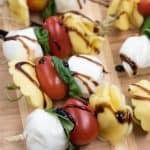 These Tortellini Caprese Skewers are the perfect appetizer because they come together in minutes and are a bit heartier than a traditional caprese salad. An Italian inspired salad, Caprese is normally served with slices of tomato, fresh mozzarella, and basil then drizzled with balsamic and oil. Caprese skewers incorporate all those same flavors, but add tortellini, making this an easy and hearty appetizer! I think food on sticks is just more fun, and they’re perfect for a party alongside a cheese tray and dips. 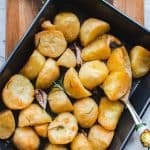 Little bites like this are perfect for hot months or for when you want something a little lighter to serve alongside traditional football food like wings or jalapeño poppers. 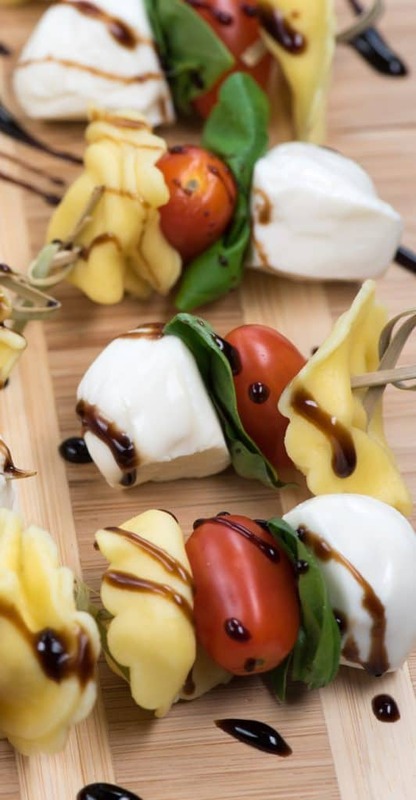 These caprese skewers with tortellini have a grape tomato and a bite of fresh mozzarella, along with a fragrant basil leaf. 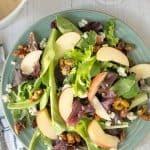 You can make these ahead of time and it’s easy to make as many or as few of them as you want. Start with your favorite tortellini. I love using frozen tortellini. Normally I make a batch for dinner and save half for making the skewers for the party the next day. You can also use fresh tortellini. 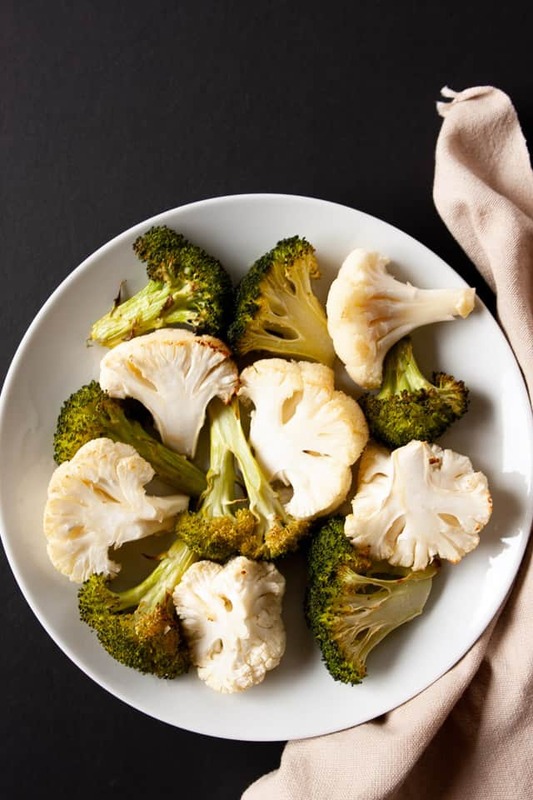 Use your favorite flavor; I especially love using cheese tortellini so this is a vegetarian appetizer option. You can use grape or cherry tomatoes; just choose what looks good at the store that week. For the mozzarella, you can buy a fresh mozzarella ball and slice it up into chunks for the skewers or buy these little bites that come in the specialty cheese section. Either one works, just be sure to use fresh mozzarella; it makes all the difference. If you don’t have basil in your garden, you can normally fine bunches in the produce section. 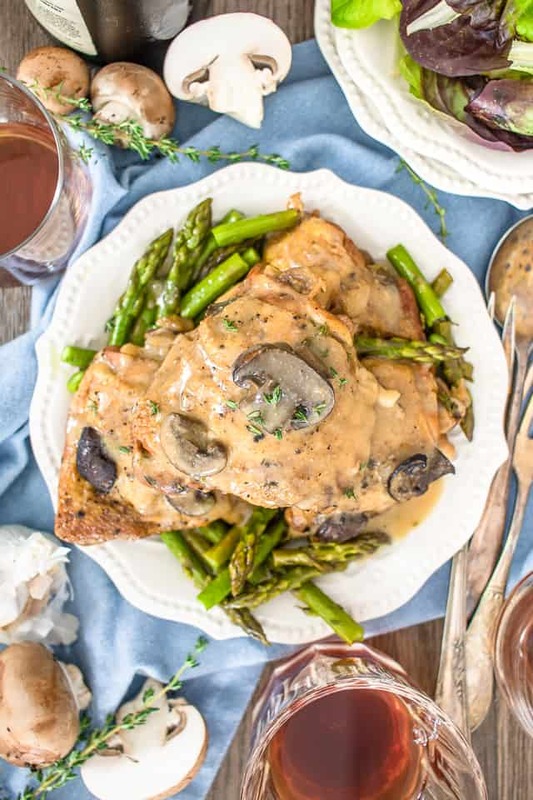 If you can’t find them, substitute spinach. Once you’re ready to serve these easy skewers, drizzle them with balsamic glaze. Balsamic glaze is balsamic vinegar that’s been reduced – it’s thick and sweet and delicious drizzled over the top of these skewers. 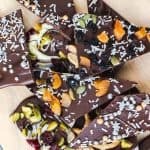 Make these for a party or make them as part of a charcuterie tray for dinner – either way your guests and family will love them. 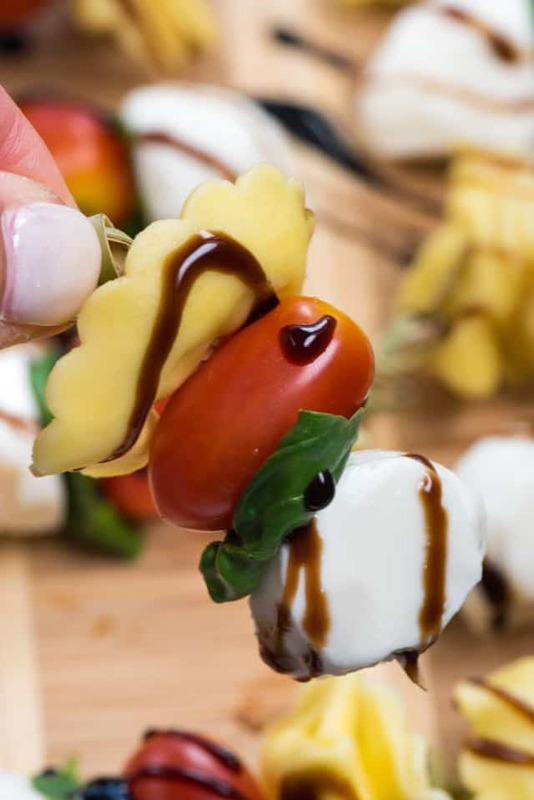 These easy Tortellini Caprese Skewers have a balsamic glaze and are a perfect appetizer! They're made with tortellini, tomatoes, mozzarella and basil! Cook tortellini according to package directions. Cool. Place one tortellini, one tomato, one basil leaf, and one mozzarella bite on each skewer.